A new series of screen prints and textile collages inspired by her childhood growing up in a grocery & hardware shop. Owned by Laura’s great-grandparents in the heritage town of Ramelton, Buchanans stores operated from 1907 – mid 1980’s and were a centre-point of the life of the village. In this exhibition, Laura explores and reimagines the remnants left behind today and how they inspire and live on in her creative process. Laura is an MA artist whose prints have been exhibited by the RUA, Belfast; Glebe Gallery, Donegal and Indigo Textile Show, New York. 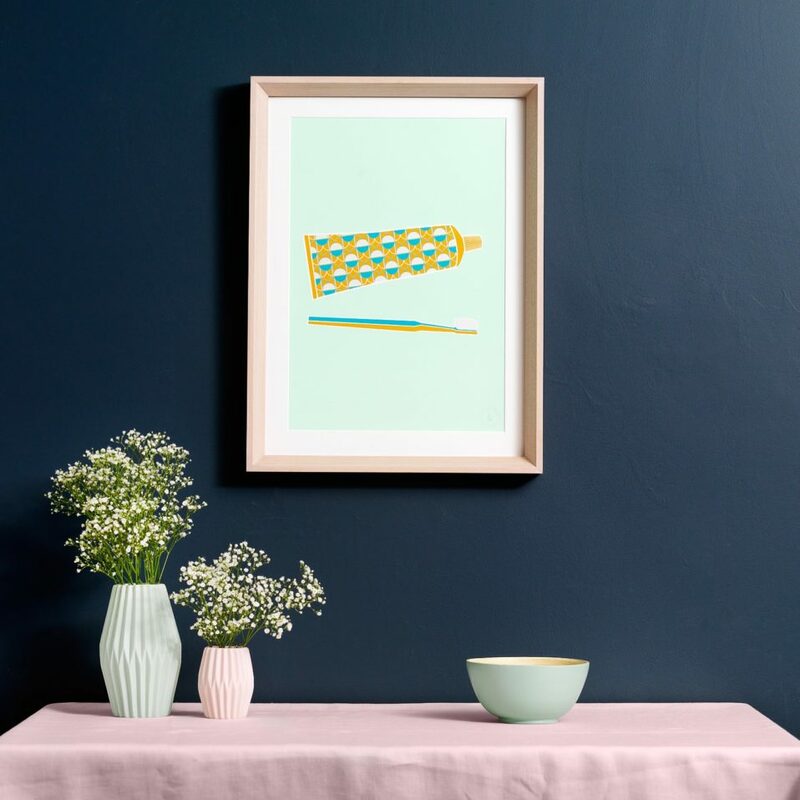 Her prints have been purchased by US retail giant Target for their homewares department and she currently works as a designer at McNutt of Donegal.